Show me where it says I gots to keep the box in its original form. I fits now. So there. Whatever makes you happy dood. What? I think you fit fine! Come on, you can squeeze in! That looks like fitting to us. Hey, as long as you're happy there...who cares??? Inferior box that well apart. Not your fault you don't fit. Ah, ya take what part the box will give you... MOL! There is no such thing as "don't fit"
More than half of your body fits, so let's say you fit. 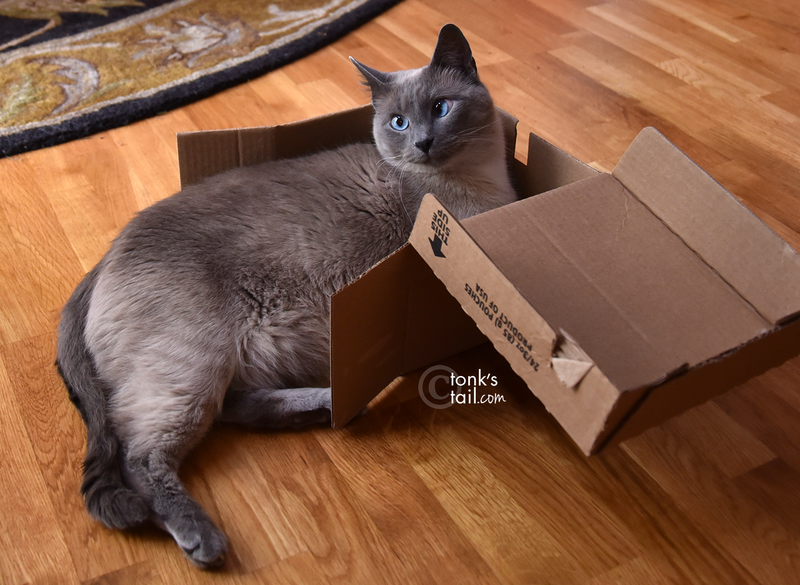 LOL..when it comes to cats, we believe boxes to be one-size-fits-all! Purrs from Deb and the Zee/Zoey gang! You would have fit. Not your faulty the box broke. I think you fit just fine.